Join KQED Education and The Museum of the African Diaspora for a three-part educator workshop about art, history, and making media. Participants will spend an inspirational day at MoAD studying the current exhibition, Collected: Stories of Acquisition and Reclamation, and discover how history has been conveyed through art and images. We will spend time in the museum’s salon, where we will view excerpts from the 1958 film, St. Louis Blues, about the life of legendary blues man, W.C. Handy. 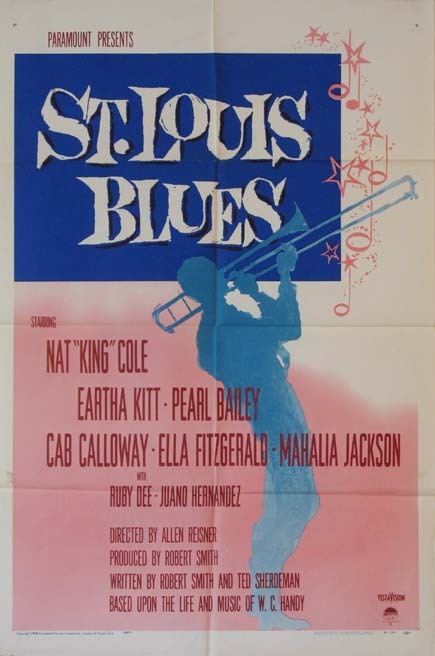 Considered a race film, St. Louis Blues depicts a false life/reality and serves as a snapshot of life in the 1940s and ’50s. In the second part of the workshop, we’ll spend 2-days at KQED in San Francisco learning how to develop and produce a personalized digital story. We will draw inspiration from KQED-featured contemporary artists including Kerry James Marshall and Kara Walker, and explore classroom-ready videos and lesson plans related to their work, which communicates a re-telling of history. To learn more, visit the KQED Events Calendar. This workshop is open to Educators in grades 6 – 12 and there are three required sessions: January 28, February 3-4.